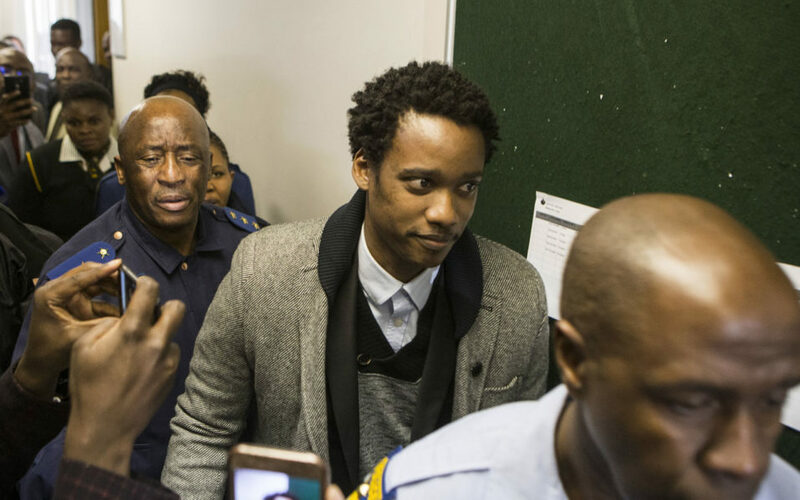 Duduzane Zuma (C), son of former South African president Jacob Zuma, leaves the court, where he faced corruption charges before being released on bail on July 9, 2018 in Johannesburg. Duduzane worked for the Gupta family, which is accused of corrupt dealings with Zuma’s government by being granted lucrative government contracts and influencing ministerial appointments. He has been charged over involvement in a bribe allegedly offered to former deputy finance minister Mcebisi Jonas by the Guptas. Zuma was granted 100,000 rand (USD 7,500) bail and the case was postponed until January 24, 2019.